Our company’s appliance technicians are trained and average several years in the business. So, you can trust our whole team for professional, efficient repair services, but also for our skills and courtesy. We are aware that it’s important to you to fix your oven, dryer or fridge as soon as possible and rely on technicians, who will arrive on time and do a good job. These are the things we are able to guarantee at Appliance Repair Oshawa, ON. Each and every Oshawa appliance technician at our business has full understanding of your needs and is trained to repair all home appliances. Whether they are old or new, sophisticated or not, totally worn or slightly damaged, we can take care of them. 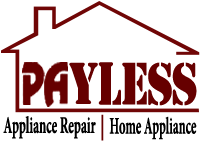 What’s also very important is that our customers in Oshawa can trust our company for all their needs. We provide fast home appliance repair, install appliances and their parts, make replacements, troubleshoot and diagnose, and maintain both kitchen and laundry room appliances. Do you have an oven problem? Is the dishwasher gasket worn? Is the refrigerator leaking? Rely on our kitchen appliance technician. Do you want dryer maintenance? Did you notice that the washing machine doesn’t clean the clothes to your satisfaction? Report problems to our team right away! 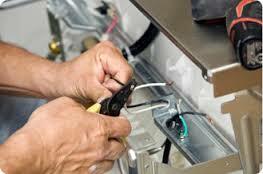 When it comes to quick fixes and emergency repairs, we make an effort to offer same day appliances repair service. When you schedule services with our local appliance service technician, you can be certain that your job will be done efficaciously and on time. Our professional status doesn’t allow us to be late and we still make an effort to serve as many clients as possible every day. The services we offer include new oven, dryer, dishwasher and washer installation, and also the installation of all new repair parts. You can trust that one of our technicians will troubleshoot sudden problems in a timely manner and carry on with the necessary replacements and repairs right away. If you want to work with a good appliance technician in Oshawa, Ontario do call us!